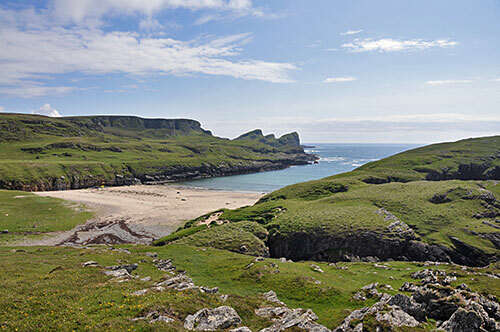 This is Tràigh Bhàn, a remote beach in the north west of Islay. The Exmouth disaster happened not far from here, there's a small memorial on the left above the beach (not visible in this picture). A beautiful landscape in bright sunny weather as we had it during our walk, a dark and haunting place in other circumstances.